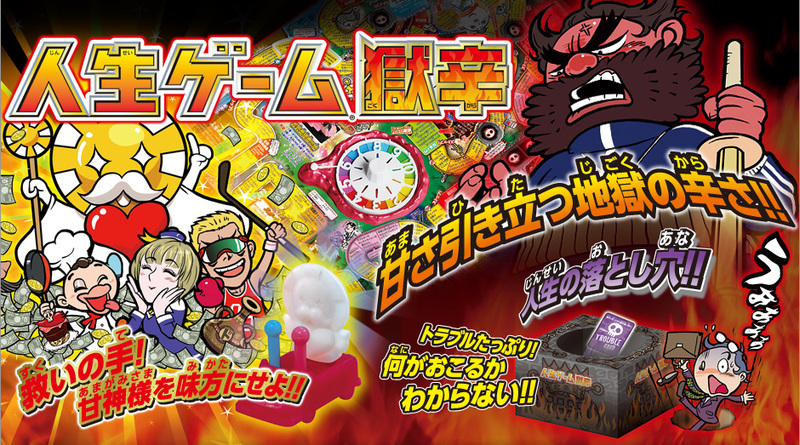 Burakku kigyō (dark companies, exploitive enterprises) are probably the epitome of everything that’s wrong in Japan today. In 2013, it was among the top trending words of the year. 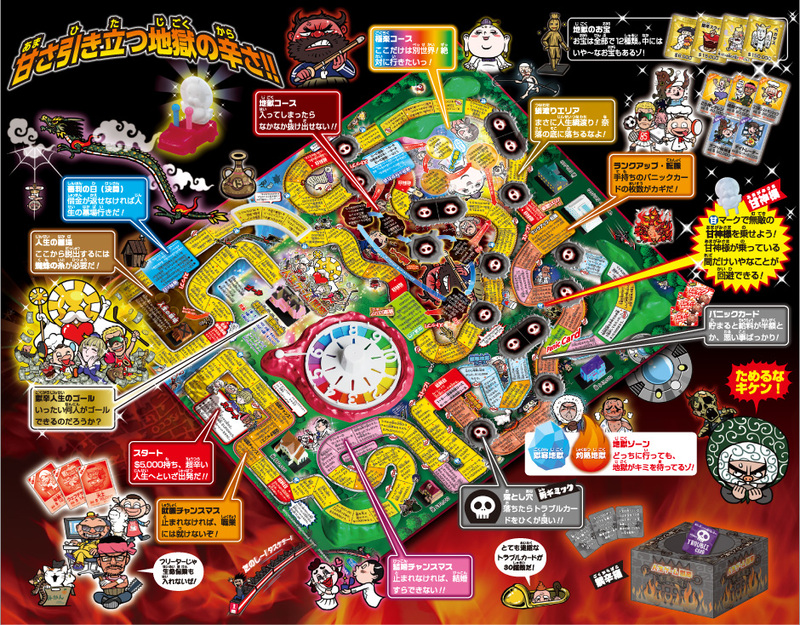 They’re so much a part of the social misery in Japan that they even are incorporated into board games like The Hellish Game of Life. Last year between April and September, 6,659 businesses in Japan violated labor laws and were ordered to correct their illegal practices by Japan’s Ministry of Health, Welfare and Labor. Haruki Konno, head of POSSE, a group that helps young people with problems in their working environment, says black companies typically hire young employees and then force them to work large amounts of overtime without overtime pay. While specifics may vary from company to company, conditions are generally poor, and workers are subject to verbal abuse, sexual harassment and bullying. It was also a term the police used to refer to “front companies”––firms owned or operated by the yakuza, Japan’s mafia. Konno says black companies are able to flourish due to existing conditions in the labor market. In 1985, regular employees accounted for 85 percent of the workforce. These days, the number is roughly 60 percent, a shift in job security caused by the easing of labor dispatch laws. “Good jobs are hard to find and people are willing to put up with a lot before quitting,” Konno says. It’s worth noting that black companies are not entirely a new phenomenon. In July 2000, advertising giant Dentsu Inc. admitted it was responsible for the 1991 suicide of a 24-year-old employee who had become depressed due to overwork. Dentsu agreed to pay his family about ¥168 million in damages. Last year, they were found responsible for the death of another young employee who was so overworked that she became depressed and jumped out of the company dorm on Christmas. Merry Christmas Dentsu–you’re synonymous with evil corporation now—try fixing that brand image. The Japanese government has long promised to do something about this problem but under the reign of “Money Over Life” Prime Minister Shinzo Abe, no one expected much. However, this month, much to the surprise of everyone, the Ministry of Health, Welfare, and Labor published a list of 334 companies that had made repeated violations of labor laws. 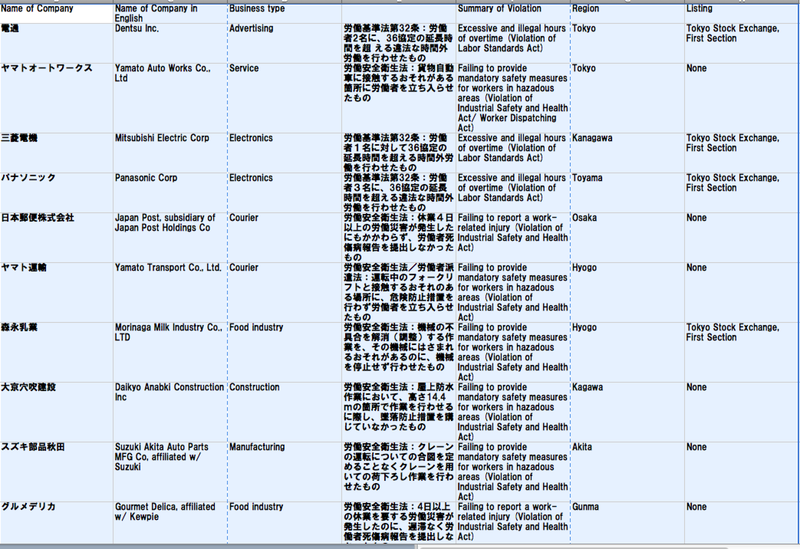 Of course, Dentsu, is on the list. For the sake of non-native Japanese readers, Makoto Iwahashi, an intern at POSSE and a budding journalist, working with Japan Subculture Research Center put together a list of companies that are listed on the stock exchange and/or are affiliated with listed companies. Why? Because perhaps if investors have second thoughts about putting their money into companies that can’t uphold basic labor laws, maybe these companies might suddenly care about how they treat their workers. They may not be afraid of labor unions but they may be deathly afraid of their shareholders. Let’s hope. It is indeed a shame that so many Japanese companies don’t take care of their workers better than they do. That would be good business practices and the right thing to do. The hotel at Haneda airport International terminal.